The order issued to all department heads referred to the High Court order and demanded details of the files sent to Jung’s office for ex-post facto concurrences. Sisodia also asked for the files related to ongoing projects. 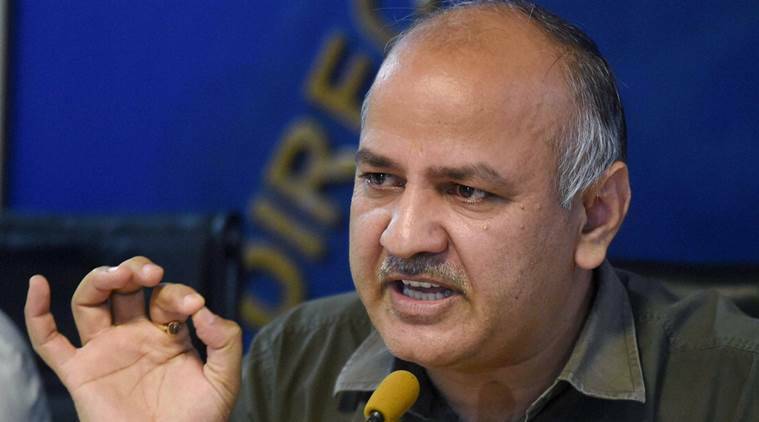 Deputy Chief Minister Manish Sisodia has written to all government departments asking them to send details and contents of the files being sent to the LG’s office. The order issued to all department heads referred to the High Court order and demanded details of the files sent to Jung’s office for ex-post facto concurrences. Sisodia also asked for the files related to ongoing projects. “After the judgment dated August 8, 2016 of High Court of Delhi, a number of files have been sent to Lt Governor for ex-post facto concurrence, views, perusal. Also many files related to ongoing works and planning, where Lt Governor has to give his concurrence, views are pending at the office of the Lt Governor,” stated the order. A senior official said the details are being sought to prepare a counter against the LG’s office. “The whole exercise is aimed at proving that work was halted due to the files pending with the LG-appointed committee by presenting file figures and status,” said an official. The order further stated that a list of all such files sent and which are pending with the Lt Governor’s office will be sent to Sisodia’s office with details. The details asked by the Deputy CM’s office include, “file number, subject of the file, date of submission of the file to LT Governor’s office, branch, section from which the file is related, reason for submission of file — perusal, ex-post facto concurrence, to seek Lt Governor’s concurrence, views for some future action plan or work or any other reason”.